Smart web forms for digital marketing. The best marketing campaigns produce quality leads for your sales team. 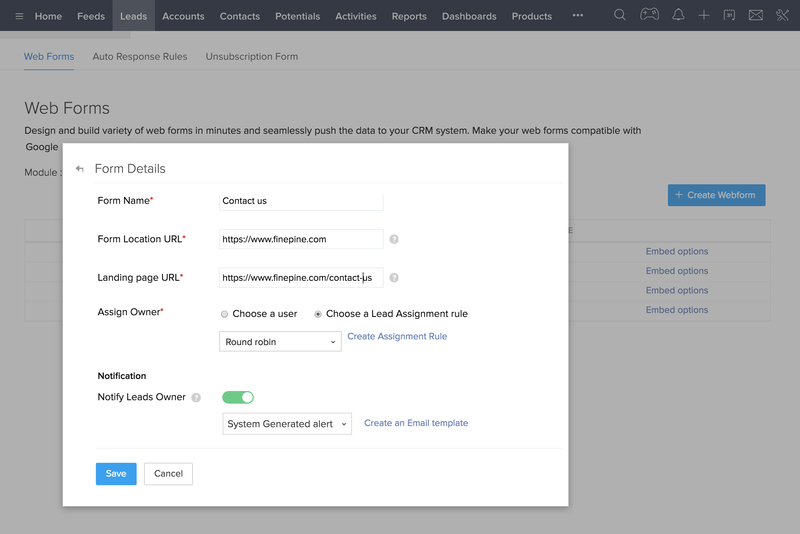 From landing pages to contact forms, capture customer information in CRM with one step. Zoho CRM offers both customizable and pre-built web forms that turn your digital marketing campaigns into lead generation machines. Build forms without writing a single line of code. Launch marketing campaigns in no time. 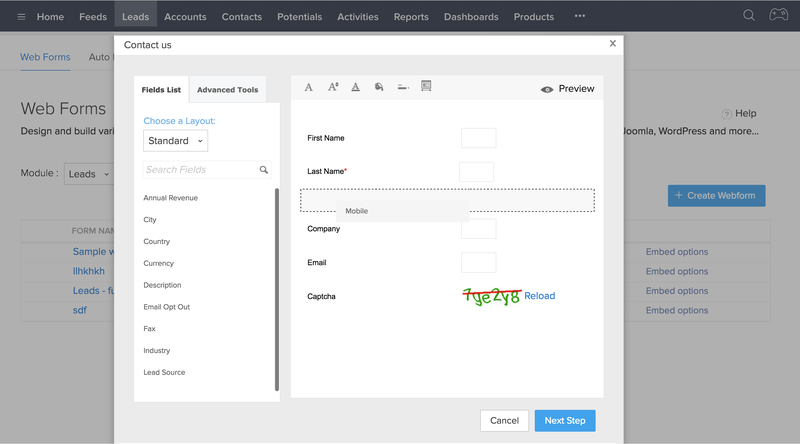 Using the web form editor, simply drag and drop the required fields and design forms the way you want. Capture leads directly into your CRM. With web-to-lead forms, streamline lead generation by capturing website visitor information directly into CRM. Verify, approve, and automatically assign leads to sales reps with round-robin allocation. Validate and approve for instant action. Not all leads are created equal. Some leads are from people who are interested in your product, while others are just people who landed on your site. 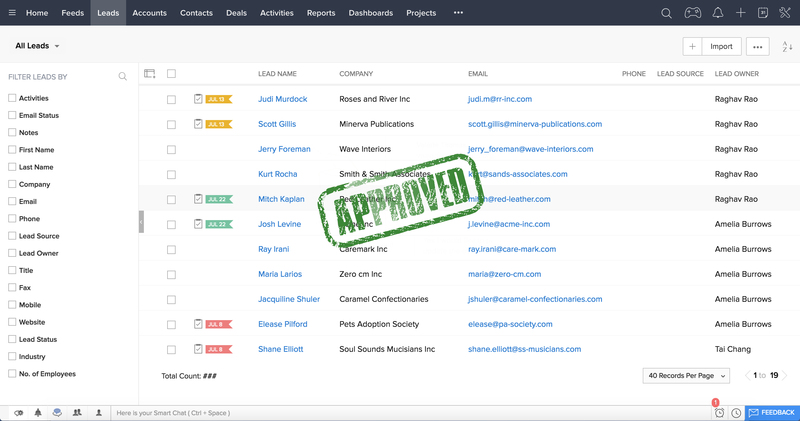 Approve genuine leads and automatically assign follow-up tasks to sales reps.